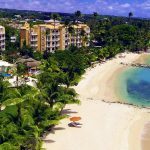 This island hopping holiday combines stays on two of the Caribbean’s scenic Windward Islands, allowing visitors to soak up the laid back atmosphere of Grenada then discover the more developed island of Barbados. 10 nights from £2495 per person including all flights and transfers. 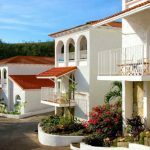 Begin your island hopping holiday by flying to Grenada, where you stay at the relaxed Mount Cinnamon resort. 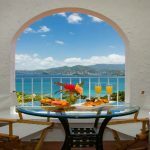 Set on a hillside within acres of tropical gardens that lead down to the famous Grand Anse Beach, the resort is stylish yet laidback and fun. While small in size, Mount Cinnamon offers all the amenities and services of a larger resort including excellent dining options. All suites and villas boast a well-equipped kitchen, allowing guests to stay in if they wish. Guests staying at Mount Cinnamon can spend their days relaxing on the long, sandy beach where there are also plenty of water sports on offer. The resort can also arrange a vast range of excursions from river tubing and waterfall visits to island tours and rainforest hikes, as well as snorkelling and scuba diving at the underwater sculpture park. Cultural activities on the ‘Spice Island’ include visits to the Rivers Antoine Rum Distillery and the Belmont Estate chocolate plantation. Find out more about things to do in Grenada. Spend 5 nights at Mount Cinnamon, then take a short flight to Barbados with a local airline and travel onwards by car to Saint Peter’s Bay. 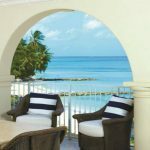 Saint Peter’s Bay is a luxurious resort on the north-west coast of Barbados which consists of self-catering apartments with access to hotel facilities including a pool, restaurant and water sports equipment on the sandy beach. Guests can also take a private water taxi to the hotel’s sister property where they will find more bars and restaurants as well as a tranquil spa. While guests staying at Saint Peter’s Bay have the freedom to self-cater, there are also numerous dining venues in Barbados which serve excellent cuisine, from casual beach bars to fine dining restaurants. The stunning coastline of Barbados is known for its white sand beaches and clear blue seas, offering plenty of opportunity for relaxation or taking part in water sports. Away from the beach there are activities including golf and tennis, as well as motor racing at the Bushy Park race track. Other places of interest include rum distilleries, botanical gardens, historic mansions and military buildings, as well as historic towns including Holetown, Speightstown and Bridgetown. The rugged east coast of Barbados is well worth a visit as it provides a stark contrast to the more popular west coast, home to rugged surf beaches and a scattering of local villages. Find out more about things to do in Barbados. After staying at Saint Peter’s Bay for five nights, end your island hopping holiday by flying from Barbados to the UK. 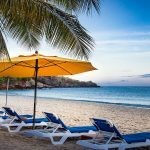 Flights with Virgin Atlantic or British Airways in Economy from London Gatwick to Grenada and from Barbados to London Gatwick. Inter-island flights with a local airline from Grenada to Barbados. 5 nights’ bed and breakfast at Mount Cinnamon sharing a Hacienda One Bedroom Suite. 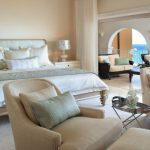 5 nights’ room only at Saint Peter’s Bay sharing a One Bedroom Beachfront Apartment. Prices are for travel in low season, are based on two sharing and include current special offers (as of 2 March 2017) – these are a guide only, contact us for a tailor made quotation. Conditions apply for all special offers including blackout dates, book by dates and minimum stays.